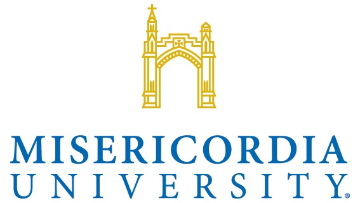 Misericordia University seeks an energetic and collaborative leader for the position of Dean of the College of Health Sciences and Education (CHSE). Reporting to the Vice President of Academic Affairs, the Dean will advance intellectual leadership, pedagogical practice, interprofessional education, and administrative process for the college. The University seeks a leader who is mission informed, committed to high impact educational experiences, and possesses demonstrable experience in developing a diverse range of students to live lives of consequence within their communities and the world. The College of Health Sciences and Education comprises ten departments including Nursing, Physician Assistant, Physical Therapy, Occupational Therapy, Medical Imaging, Diagnostic Medical Sonography, Speech-Language Pathology, Health Sciences, Social Work, and Teacher Education. These 10 departments house 39 programs and account for the largest faculty and student body within the University. The College also includes the Misericordia University Autism Center and supports multiple community outreach programs. Successful candidates will possess a significant record of diversifying revenue streams through grant writing, clinic growth and management, and partnerships with external entities. Candidates should be able to promote the growth and visibility of the college, maintain diverse departments within the current college structure, and advance the college’s advisory boards, interprofessional education, and clinical and external partnerships. Collaborative leadership will also encompass strengthening established interdisciplinary connections with the College of Business and the College of Arts and Sciences. Candidates should be able to articulate their understanding of the challenges facing educators in higher education, including the maintenance of programmatic accreditation, and to promote a balance of teaching, scholarship, service, and professional competence at a comprehensive university committed to the essential role of humanities in the undergraduate curriculum. This position requires a Doctoral degree in an area related to or represented within the College of Health Sciences and Education and a minimum of 10 years of successful college teaching, scholarship, research, and progressively responsible administrative experience. Documented ability to develop and maintain positive relationships with all stakeholders is valued. Misericordia University, a Catholic liberal arts institution established in the tradition of the Sisters of Mercy, fosters intellectual curiosity, critical thinking, and respect for all persons in an environment where all are welcome. As a community, we are committed to integrity and the values of Mercy, Service, Justice, and Hospitality as the foundation of university life. Misericordia offers baccalaureate, master’s, and clinical doctorate degrees and is especially known for the Health Sciences. The University’s approach of combining a quality liberal arts education with professional preparation and service to others has resulted in its wide acclaim. Misericordia University is committed to student, faculty, and staff diversity and values the educational benefit this brings to campus. Applications should include a cover letter, curriculum vitae, and contact information for five professional references. Review of candidate materials will begin immediately and continue until the position is filled. Applications received by April 15, 2019 are assured full consideration. Apply directly online or send application materials via email to: hr@misericordia.edu.